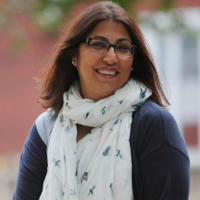 Shirin M. Rai is Professor in the department of Politics and International Studies. She has written extensively on issues of gender, governance and consulted with the United Nations’ Division for the Advancement of Women and UNDP. Her latest books include New Frontiers in Feminist Political Economy (with Georgina Waylen), Democracy in Practice: Ceremony and Ritual in Parliament (ed. Palgrave, 2014) and The Grammar of Politics and Performance (eds. with Janelle Reinelt, Routledge, 2015). Prof Rai is the co-Lead of the University of Warwick's Global Research Priority Programme on Interntional Development.